142,02 € прибл. 10.179,47 руб. 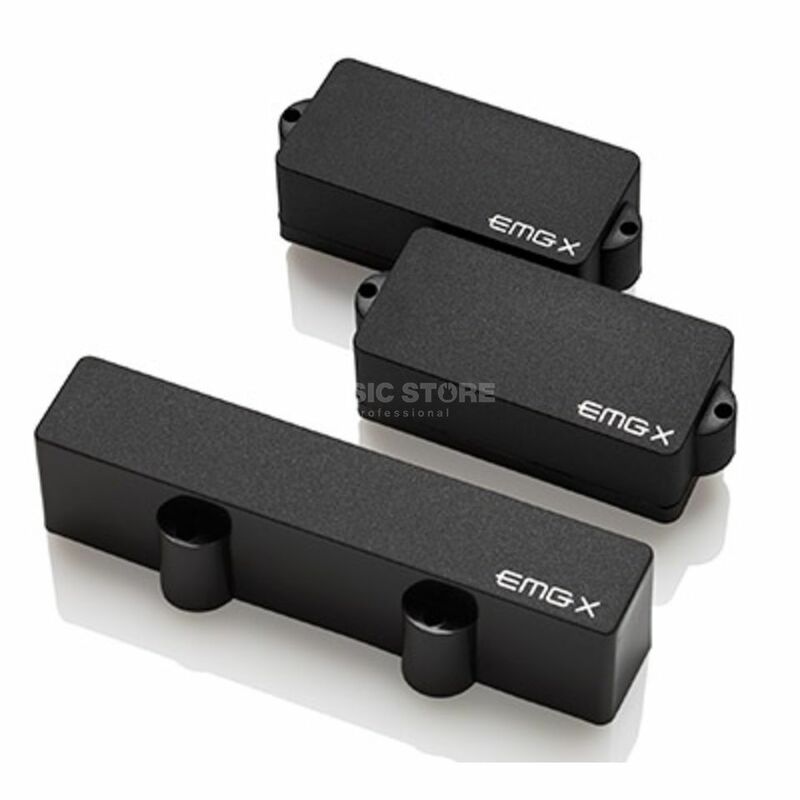 The EMG PJX Bass Guitar Pickup Set is a bass guitar pickup set, with ceramic magnets and consists of a PX, a LJX, and a PJX, with black covers. The EMG PJX Set provides bass players flexibility and a wide range of tonal combinations with the added headroom and dynamic response of the X series preamp. EMG's PX adds warmth, and incredible low end punch, while the LJX provides a tight mid-range with dynamic high end response for a well-defined attack. Used separately or in combination, they offer endless bass tone options with a response and feel that bridges the gap between passive and active pickups. The result are low noise, dependable pickups with tones ranging from tight slap funk, rock, to smooth Motown grooves. With EMG's solderless wiring harness included, the PJX Set is easy to install at home.